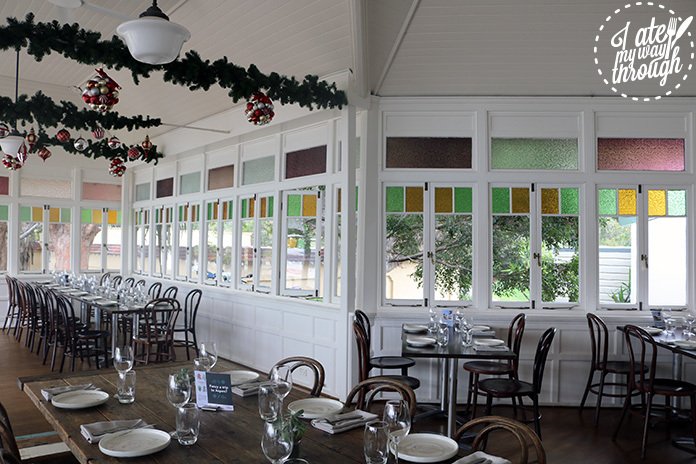 With a kaleidoscope of light streaming through the stained glass windows looking out onto green parklands and the waterfront I felt instantly relaxed at The Nielsen. It’s almost easy to forget that you’re in the city while dining in this cosy Italian restaurant housed within a heritage sandstone building. It is too easy to enjoy an afternoon here with a glass of wine, looking out onto the glistening water with rainbow lorikeets dancing along the edges. The Nielsen creates contemporary takes on classic Italian dishes using fresh, seasonal produce. It is clear to see how Head Chef Jeff Sue put his passion for fresh ingredients and pride for traditional Italian flavours into each dish he designs. So although they’re not technically Nonna’s recipes, they’re made with only the best ingredients that would get her stamp of approval. Our host Roberto ensured everything was perfect for our visit, and that the wine glasses were always full. He was wonderful in pairing our entrees with the Aramis 2015 White Label Pinot Grigio ($13/glass). This gorgeous grigio had a lovely and light acidity with notes of pear, with a softly acidic citrus finish it was the perfect drop to pair with the kingfish crudo. 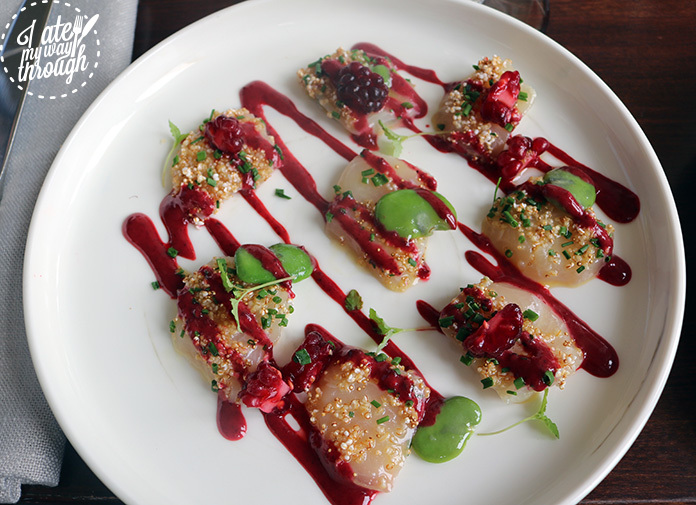 The beautifully plated kingfish crudo ($20) with blackberries and broad beans was the first entree to grace our table. The kingfish was lovely and fresh and with a sweetness from the blackberry flavours and earthy flavours from the broad beans was a well rounded dish. A dusting of dehydrated amaranth over the top added a crunchy texture and a surprising popcorn flavour to the mix. 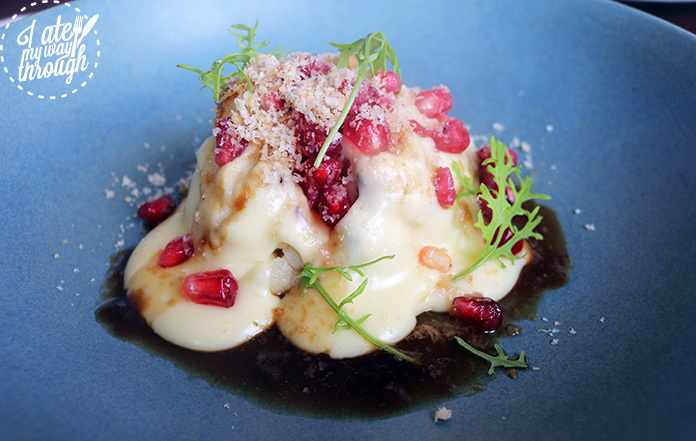 One of Sue’s plans with The Nielsen was to cater for a wide range of dietary needs and the vegetarian entree of cauliflower ($19) with smoked cheddar fondue, macadamia and pomegranate arils. Tangy and cheesy, soft and crunchy this dish was a wonder from the first bite. 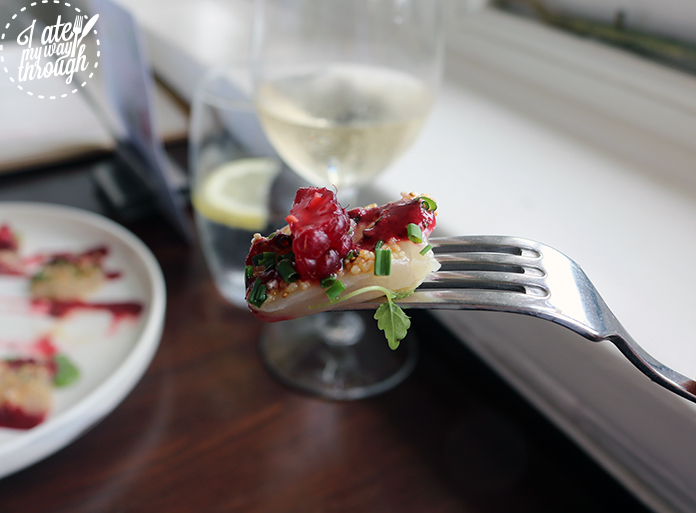 The smoked cheddar fondue was warm and comforting and the pomegranate gave a tangy lift to the other flavours. Another great vegetarian option is the taglionini ($28) served with wild mushrooms and green peas. The mushroom mix is made up of enoki, shiitake and porcini mushrooms which is sprinkled over the top of house made tagliolini pasta. 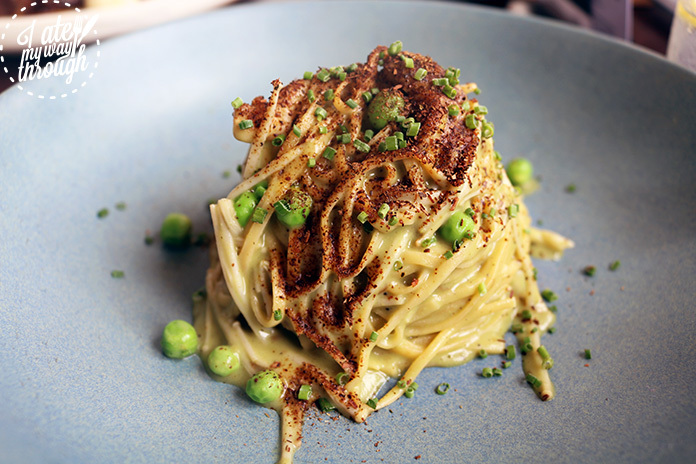 The pasta is coated with a pea emulsion which makes it silky smooth and the green peas it is plated with give a fresh element to the dish. For something a bit more meaty to sink your teeth into, the bavette ($40) is also a great option. 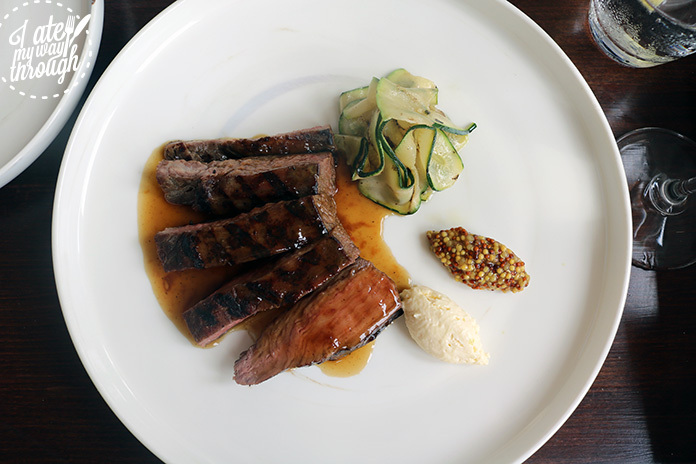 This expertly cooked flank steak has a delicious char around the outside and is paired with zucchini ribbons and a horse radish purée. 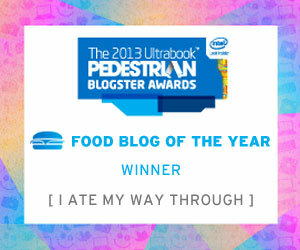 Everything works so well on this plate both in visual and taste. The mustard that joined this trio added a little kick to the mix, setting your tastebuds alight. Italian desserts are possibly my favourite desserts and these did not disappoint. The marscapone foam ($15) with Amarena cherries and a coffee dusting was just phenomenal. 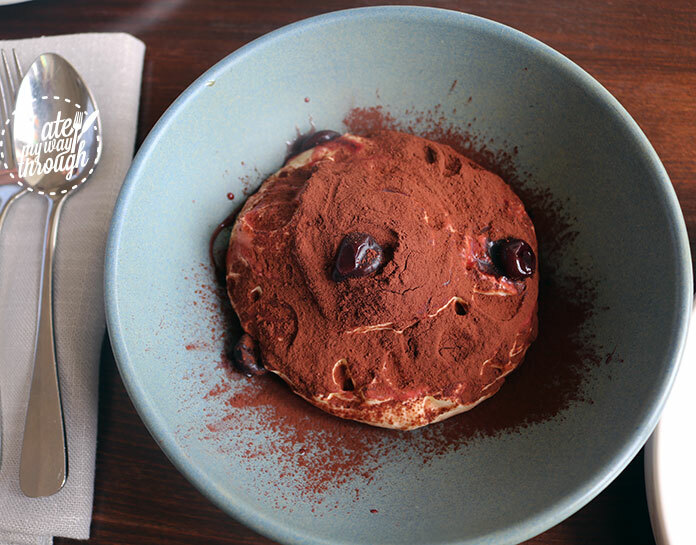 Being a combination of a classic Italian tiramisu and a Black Forest cake, I could not have loved this dessert more. The foam was well flavoured and airy yet held together structurally, not being weighed down by the coffee crumble on top. There was also coffee soaked cake underneath which was a pleasant surprise. Another great dessert was the lemon and yuzu mousse ($15). Served with a milk crumble and a healthy sized scoop of raspberry sorbet on top I would say this is a perfect summer dessert. It was tangy and refreshing with the beautifully citrus flavoured mousse dancing across to cleanse your palate. 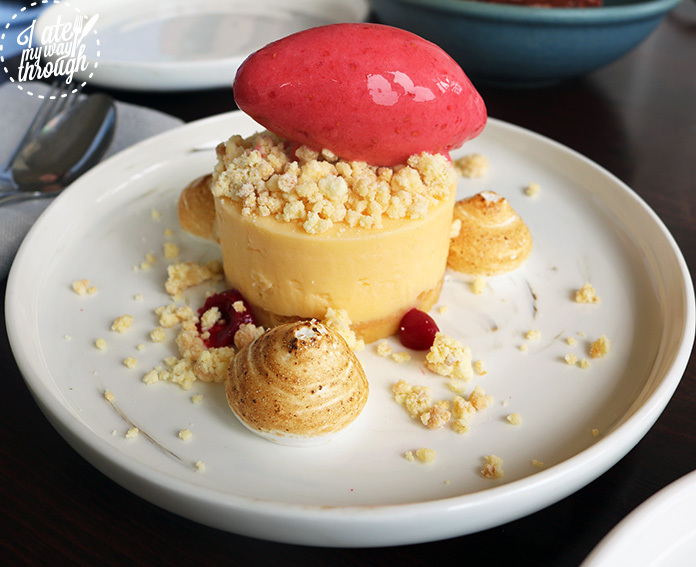 The raspberry sorbet only heightened this flavour sensation with berry sweetness and the crunch of the milk crumble rounded out this dish texturally. The Nielsen is the perfect place for a range of occasions from date night to family dinners, as their dishes are made with sharing in mind. So be prepared to have the table full and forks and laughter flying around with good food and good company in abundance.